Three local women gear up to create a green and sustainable community. Nicole De Santis, the head of Clean Bushwick Initiative, believes that change begins on the ground. Literally. The group, run by a group of local women, started in 2016 in response to the lack of action on the part of local politicians, businesses, and building owners to mitigate trash in the parks and on the sidewalks. 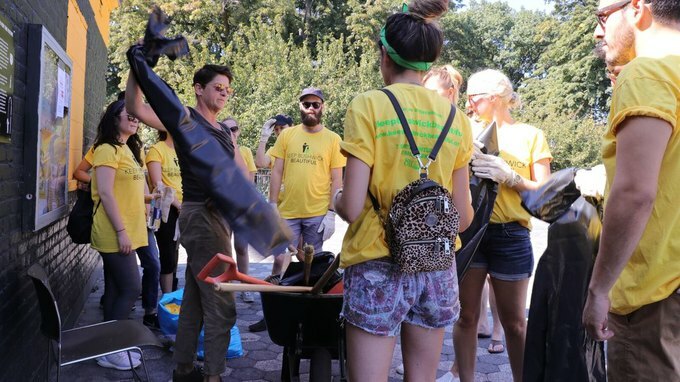 Every month, barring a few lulls in wintertime, the group hosts a meetup in places like Maria Hernandez Park, where locals have the chance to pick up trash in both the park and on the surrounding streets. De Santis, the current director of the group, had begun noticing a steep decline in the garbage situation over the last few years of living in Bushwick. One day, she received a random meetup request from a cleanup group. “I went to the meetup…and I looked up the block and I see one girl cleaning trash,” she recalled. The girl was Sarah Back, the group’s founder and former director. The two cleaned for over an hour, and De Santis immediately decided to get involved. She asked a local bar, Pearl’s, to sponsor the next cleanup, which was much better attended, likely helped by the offer of a free drink in exchange for a bag of garbage. When Back began planning a move to California, she asked De Santis to take over. De Santis had always been passionate about environmental issues, and the group seemed like the perfect way to get involved with sustainability on a local level. “I couldn’t possibly have said no to that, as much as it felt daunting to me at the moment,” De Santis said. 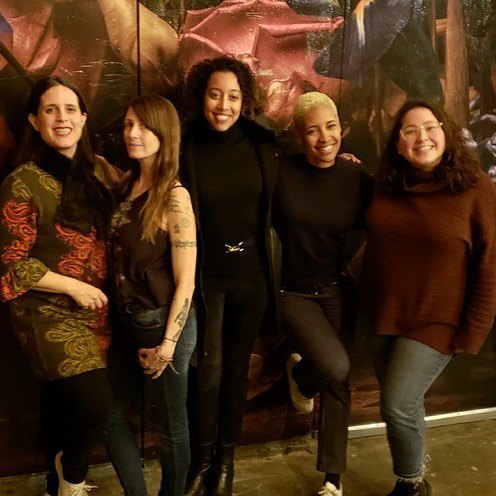 Trash is a rampant issue in Bushwick, and while proper garbage disposal and recycling are global problems, the women in the group believe that change can be enacted more easily, and more effectively, on a local level. “It’s very important to create that awareness on a community level, because that’s when you start to see change,” said Debora Rivas, one of the group’s co-directors. One of the ways the group hopes to engage with the community is through art. They are currently raising money to do a mural project in local parks, for which they plan to employ Bushwick artists like Jason Naylor to create impactful, environment-themed artwork. The project brings together Bushwick’s strong artistic legacy with the group’s environmental concerns, and will hopefully inspire further activism within the community. The group focuses on community engagement in other ways, as well. Kristen Tadrous, the group’s other co-director, is in charge of community outreach and communications, as well as coordinating with organizations like Partnerships for Parks. She also organizes programs for local kids. Three in the middle, left to right: Nicole De Santis, Kristen Tadrous, and Debora Rivas. It’s difficult to create significant change without political action, however. Rivas, a former property manager, had a major role in getting the February 4 town hall with Council Member Reynoso scheduled. As reported by Bushwick Daily, Council Member Antonio Reynoso partnered with the Environmental Protection, Transportation, and Sanitation Committee on February 4 to bring resident concerns to the Department of Sanitation (DSNY) and the Department of Environmental Protection (DEP) in a public discussion. 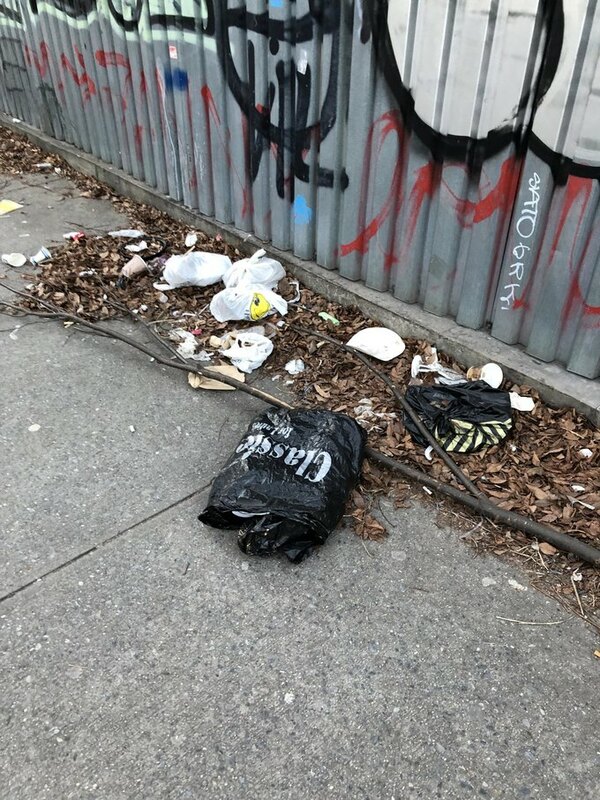 While DSNY Commissioner Kathryn Garcia pegged Bushwick’s cleanliness rating at 90 percent for the past fiscal year—slightly lower than the previous year—Council Member Reynoso believed the score should be closer to 60 percent, based on sidewalk conditions in certain areas. Public littering and illegal dumping were also major issues discussed during the town hall. Trash in Bushwick. Photo by author. The town hall was productive, according to Rivas and De Santis, but they haven’t seen much being done in the month since. They plan to continue bombarding Council Member Reynoso with phone calls, and they hope to create a petition that they’ll bring right to his office. De Santis talked of finding drug paraphernalia during the cleanups. They’ve also picked up a disturbing number of plastic bags, and De Santis described “children crawling through glass” at Maria Hernandez Park. “It’s pretty gnarly,” Tadrous said, who herself has found “dead rats the size of cats” while walking around the neighborhood. What is it about Bushwick in particular that is so conducive to trash problems? Rivas believes that the city’s capacity for waste management has not increased in proportion with the rise in Bushwick’s population over the past few years. She also feels that the neighborhood’s transient community, composed mainly of tourists, contributes to the litter problem. What about pushback from the community? “We’re a pretty diverse group of women here. That, I think, works in our favor, that we all come from different backgrounds and we all look pretty different,” Tadrous said, regarding whether locals might see the group as invasive, or a part of gentrifying forces. 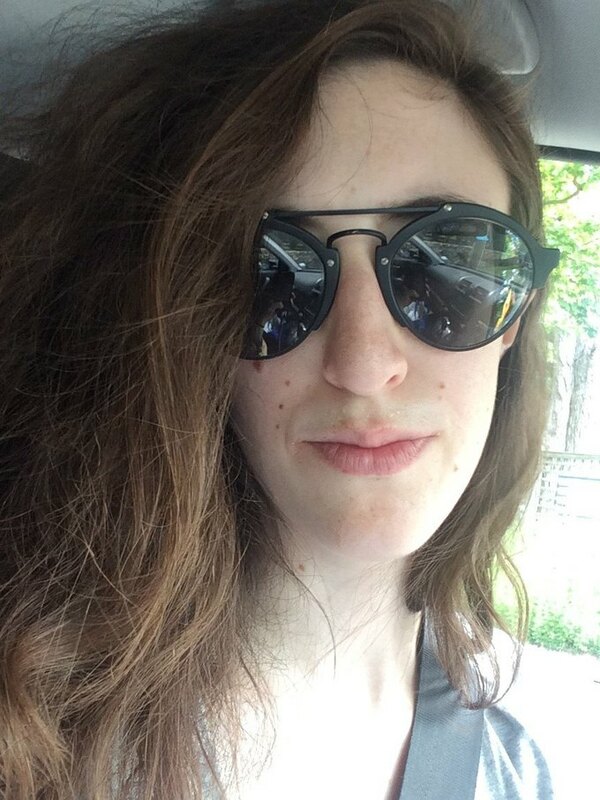 All three women live in Bushwick, though De Santis in particular has lived in Bushwick for over a decade, which will likely prove instrumental in identifying with local needs and experiences. Though Clean Bushwick Initiative’s immediate focus is on making Bushwick a cleaner, safer place, the three women also hope to work toward a composting program for the city, more green spaces, and a plastic bag ban, among other long-term goals. The group is planning a number of community events in the upcoming months. 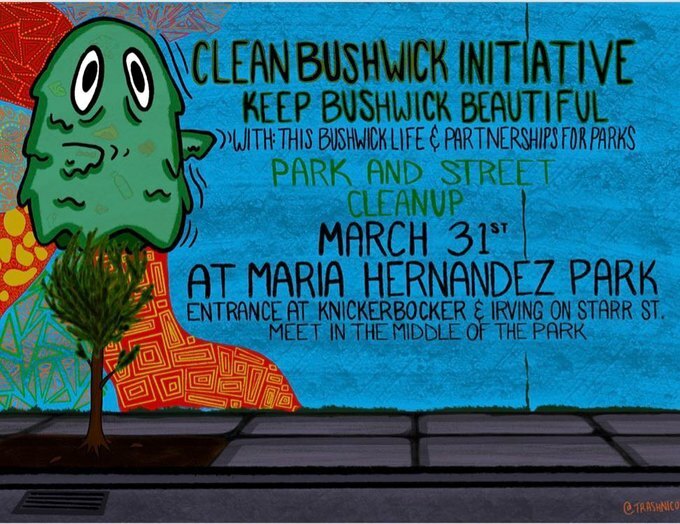 On Sunday, March 31, they will host a Maria Hernandez Park and street cleanup at 12 p.m., and a similar event on April 14 with an after-party and fundraiser for the proposed mural project. The group is also organizing a kids’ cleanup and sanitation education session on May 19. 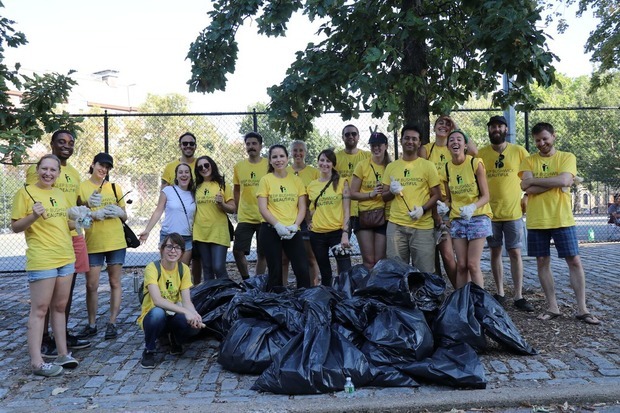 To get involved, follow Clean Bushwick Initiative on Instagram, and check out their website. All images courtesy of Clean Bushwick Initiative.